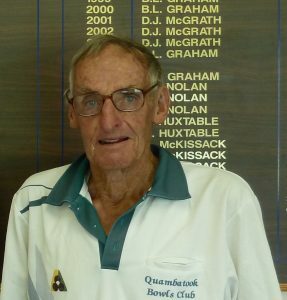 A Funeral for Mr Norman Joseph HUXTABLE, will be held at the Quambatook Co-Operating Parish Church on THURSDAY (18th April 2019) at 2.00pm. Followed by Burial at the Quambatook Lawn Cemetery. Norm I admired your courage when you knew you had problems and as we compared notes over our wives health issues where your loyalty to her never waivered. As a bowler you were great company. May you rest in peace Norm.